Gale Gainsborough is the male protagonist of the story. He is a mysterious new transfer student, and he is studying in Aelfsige Academy. 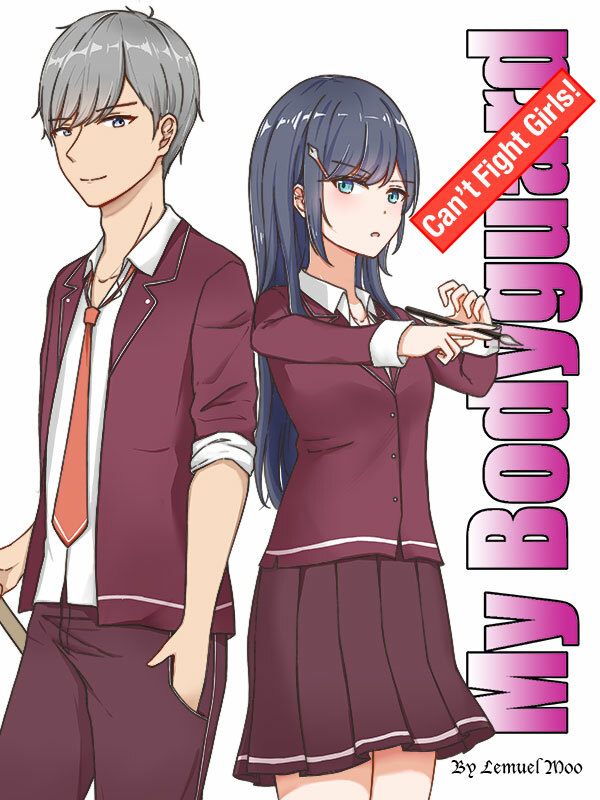 Though he is Clere Sigrun’s bodyguard, he cannot defend her from girls as he becomes weak when he fights against girls unless certain conditions are met. Gale is 15 years old at the beginning of the story. 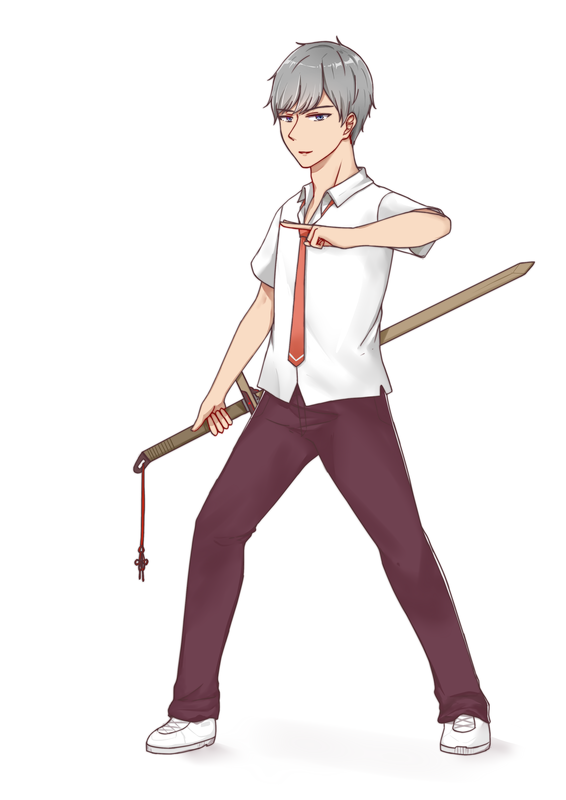 He has silver hair, and is slightly well-built due to his martial arts training. Gale loves to tease and have fun, but he becomes deadly when one of his loved ones or friends are threatened. Gale has an indomitable will, and in the midst of his most fearsome foes, his steeled countenance and his aura of strength permeates the atmosphere. He doesn’t like to be concerned with things that aren’t related to him. Gale is a prodigy in martial and mystic arts. He created the [Fire Cloud Fist] and [Soul-breaker Snow Palm] when he was 10. Gale is skilled in unarmed combat and swordplays. Serenity Within Rage Technique (静中怒): Gale uses his [qi] to calm his senses and emotions mightily from anger. First seen in Chapter 14. Lion King’s Roar (狮王吼): By gathering energy from various parts of the body and condensing it into a single point in his chests, Gale’s roar can erupt into a massive shockwave and he can channel it to a specific direction if he wish. First seen in Chapter 14. The Phoenix Heart Scripture (凤凰心经): It is a legendary set of techniques which Gale possess. Phoenix Bloom – Gale can instantaneously recover his energy as his face turned purple. As his power surges back to its peak, Gale’s body can heal itself in the process. First seen in Chapter 16. Thousand Miles Ear (千里耳): A technique to hear conversations from a thousand miles. Gale didn’t use it but he mentioned he knew the technique in Chapter 25. Wild Wind Steps (狂風步法): With this skill, the user can sprint as fast as the wind. Gale didn’t use it but he mentioned he knew the technique in Chapter 25. Cold Heart Technique (寒心絕): A breathing technique which suppresses emotions and reinforces mental, energy and physical defense for the user. First seen in Chapter 28. Fire Cloud Fist (火云拳): A set of fist techniques which Gale created when he was ten. He can cloak his arms and fist with flames, and his punches resemble flaming fireballs with trailing clouds of black aura. First seen in Chapter 30. Soul-breaker Snow Palm (雪山破魂掌): A set of palm techniques which Gale created when he was ten. Gale can channel freezing energy into the pores of opponents and injure them internally. The victims suffer from intense frostbites. First seen in Chapter 31. Ten Thousand Elemental Skill (萬行神功): By mixing [qi] and natural energy, Gale is able to manipulate elements such as earth, wind, water, lightning and fire. First seen in Chapter 13.